With that being said, what about that giveaway I mentioned in the title of this post?!? 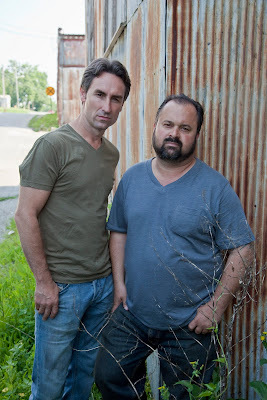 Are you like me and love the boys of American Pickers? Mike and Frank are about as genuine as one can get. And although they are businessmen, I feel they have a great balance of being respectful and fair to the non-business person when it comes to sifting through their treasures. 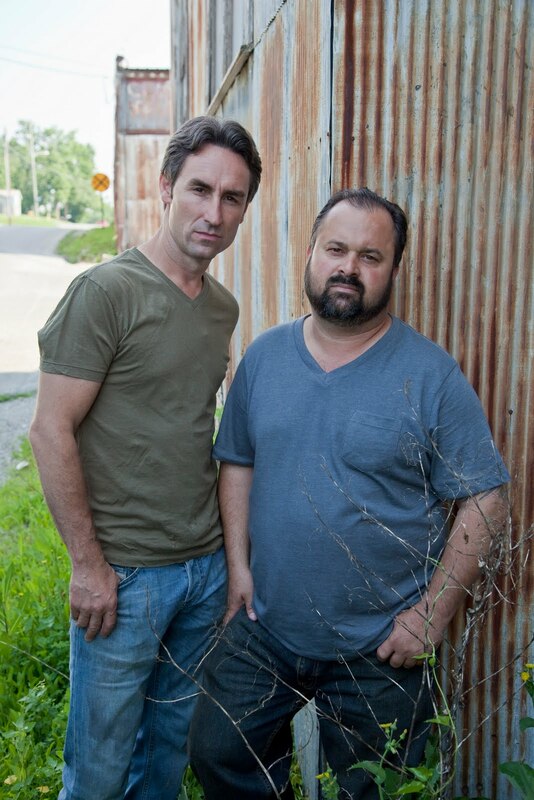 I'm excited to say the new season of American Pickers begins Monday, December 6th at 9/8c on the History channel. Trust me, you won't want to miss it! Imagine my delight when I was contacted to give away a complete set of their season 1 DVD's on the Junk Sophisticate blog! All you have to do is leave a comment on this post OR write on Junk Sophisticate's facebook wall referencing the giveaway for a chance to win! Add a link to my giveaway on your blog or facebook business page and receive additional entries! (Be sure to note where you've done this in your comment so I can locate it). 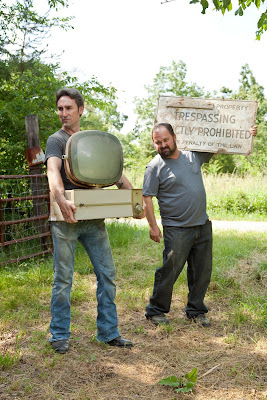 Feel free to add something about a favorite episode or quote from the show in your comment so we can all enjoy too. Drawing to be held Monday, December 6th at approximately 4pm central time. Winner will be announced and must contact Junk Sophisticate with contact information. "As professional “pickers,” these childhood buddies comb through memorabilia and artifacts, hoping to find treasures among the trash. Sometimes they make a few bucks; and sometimes they walk away with little more than the history of an item." I must say I am truly enjoying the weather thus far here, and am really getting used to the 77 degree temps in December I've heard so much about. And like everyone also says, "if you want to see snow, make the trek to Flagstaff". I'll be sure to update you on my junk pickins in the state of Arizona and hopefully into California! I'm going to make the most of the new year coming...guaranteed!